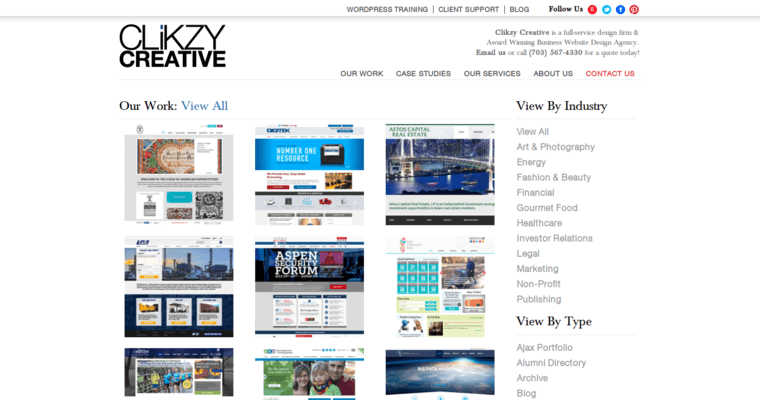 Clients looking for a comprehensive web design company can turn to Clikzy, an award-winning design firm recognized for its innovative efforts. Headquartered in Alexandria, VA, this company blends comprehensive content management systems with interactive elements to come up with websites that are designed to pull in and retain customers. Through SEO efforts that call for higher search engine rankings, Clikzy develops dynamic websites that utilize the best in online marketing campaigns to identify target audiences. 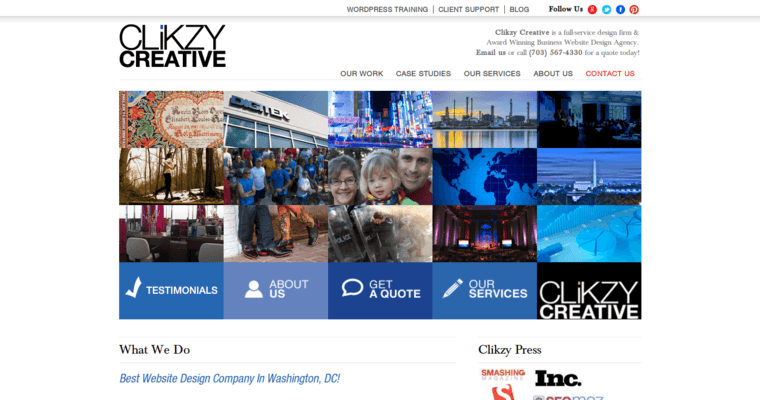 Drawing on its expertise in the field of search engine optimization, social media, and web design and development, Clikzy has been given numerous awards for its top-notch interactive design and web strategy. This strategy begins with consultations about a client's goals and marketing plan and ends with a comprehensive website design that encompasses all stages of the web design creation process. This company makes its home in Virginia but services clients all over the planet.